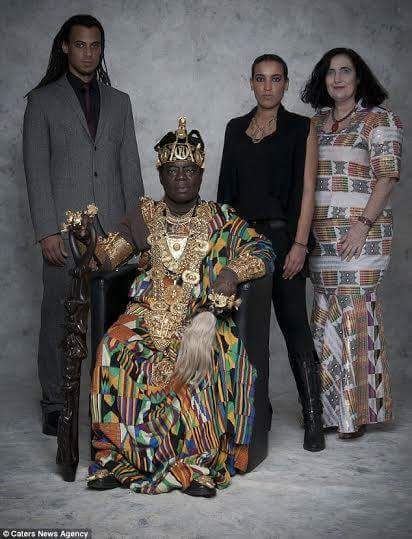 King Togbe Ngoryifia Cephas Kosi Bansah, who rules over 300,000 people in the Hohoe, east of Ghana from a city in southern Germany, has built a jail for women in the town, the German Press Agency (DPA) reports. The 69-year-old monarch, who has lived in Ludwigshafen since 1970, said the town has no jail only for women. “Male and female detainees of all ages were held there and the women were subjected to sexual assault by the men,” he said. “This was an unacceptable situation – we needed to build cells for women.” he said. The building is painted white and has three cells containing bunk beds. The cells have tiled walls as well as a shower and a toilet, features which are by no means standard in Ghana. From now on women and underage suspects will be held at the jail. The jail will be adorned with a German flag, while a plaque acknowledges the financial contributions of the town of Heiligkreuzsteinach in Baden-Württemberg and Sonja Müller, another state resident. While Bansah and his wife covered two thirds of the costs, the rest came from private contributions. 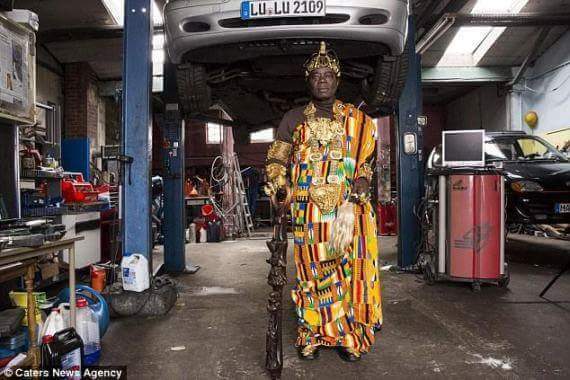 The monarch works as a full-time mechanic in Germany and governs his people over Skype. Céphas grew up in Ghana but he moved to Germany in 1970 before he was appointed king. His kingdom consists of 300,000 Ewe people. He originally moved to Germany when his grandfather, the then king, encouraged him to train there as a mechanic. 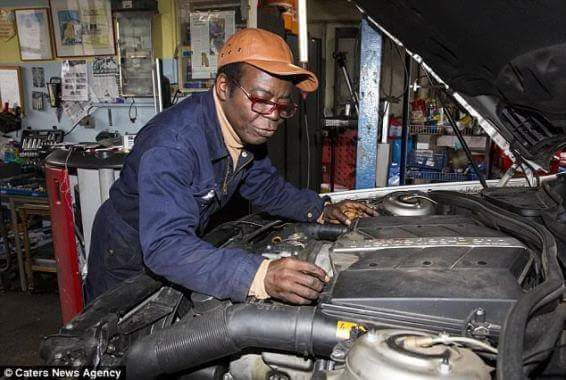 After finishing his studies and gaining full citizenship, he settled and set up his own garage in Ludwigshafen. He continued living a peaceful life until 1987 when he received a Fax which would change his life forever. His grandfather, the King of Hohoe, had died and Bansah’s father and eldest brother were deemed unfit to rule because they were left-handed, which the Ewe people considered to be ‘unclean’. This meant that Céphas was his grandfather’s successor, and the new king. He now lives in Ludwigshafen with his wife Gabriele Bansah, 59 and his two children Carlo and Katharina, continuing his job as a mechanic and his role as King. 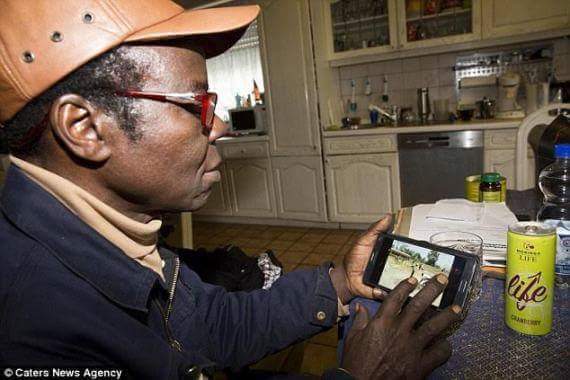 He uses Skype to govern his people and still visits Ghana up to eight times per year. ← Man U 2-1 Chelsea : Here are the 5 major talking points! !